USB Port Management software provides centralized USB port management and USB antivirus protection for PCs in company and school. You can set client PC USB port status to Read only or Disabled to prevents sensitive data leaks. 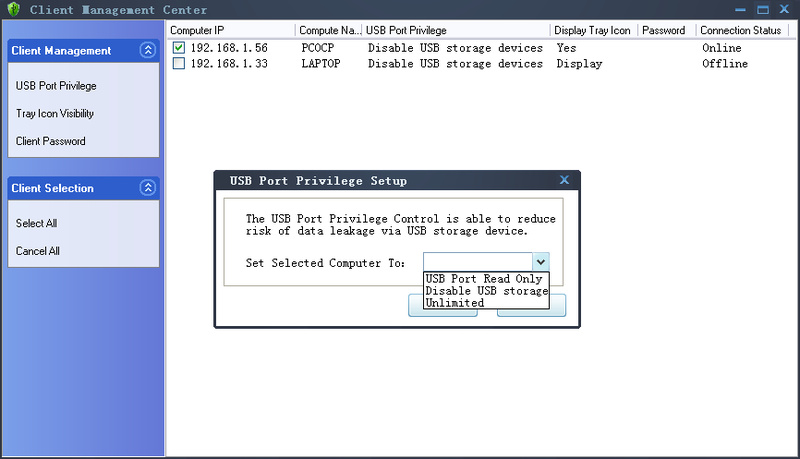 The client pc allowed to use USB port get additionl antivirus protecition when using USB drive.